Next Mentorship Program Group class begins January 3, 2019. Click here to enroll and get the the ATO 2 course and software right away. There are a few ways you can go about improving your trading. One way is to simply jump into the market without any experience or practice, see if you can make any headway, and adjust your approach as needed. This can be very expensive because it’s incredibly easy to lose money day trading. Another way is to purchase a single trade course or software. For some traders, this is enough. Other traders prefer to be armed with multiple techniques to tackle all types of markets, conditions, and find potential profit opportunities. The latter is the goal of DayTradeToWin.com’s Mentorship Program. John Paul wants to turn you into a professional day trader in just eight weeks. Is that even possible? On the official DayTradeToWin.com website, it’s easy to see why someone would be intrigued by Mentorship. Two types are offered: Group and Individual. In terms of materials and strategies, both are identical and include all courses and software with lifetime licenses. Some techniques are exclusive to Mentorship, such as the Roadmap. In total, there are about 10 different strategies. The page describes a personalized approach, separating its instruction from mass-produced content-lacking coaching programs that are rife int he industry. John Paul encourages his students to reach out and ask questions. Remote support is offered to assist students with the installation of the software. Video recordings are included, providing the students the opportunity to log in and review whenever they’d like. All Mentorship Program training occurs online. Students log in to a webinar room where they hear John Paul and see his charts. John Paul explains the strategies using the current day and recent days. Because the duration is eight weeks, there are plenty of unusual trading days to discuss. Classes are an hour long and occur twice a week. New material and review are covered in each class. Questions and interaction are encouraged. Students are also provided with a full real-time practice environment. This allows them to sharpen their skills. After the eight weeks, they can continue to practice until comfortable enough to use the strategies on a funded brokerage account. The Mentorship Program Group class is less expensive. Both options are split into three payments. A deposit comes first, usually in the amount of $500. The two remaining payments split the remaining balance. The first payment provides access to the first week’s course, the ATO (At the Open). Some students elect to pay in full. In this case, access to all of the materials are provided straight away. After the training, students may continue emailing John Paul with trading questions. Continued access to training videos is provided. Yes, Mentorship delivers on what it sets out to be. In 8 weeks, you can truly learn strategies that make a huge difference in your success. 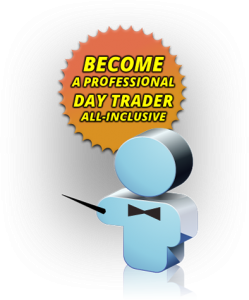 It's the best program offered by DayTradeToWin.com.